Add rich media easily and powerfully, knowing that the end results are always stunning. 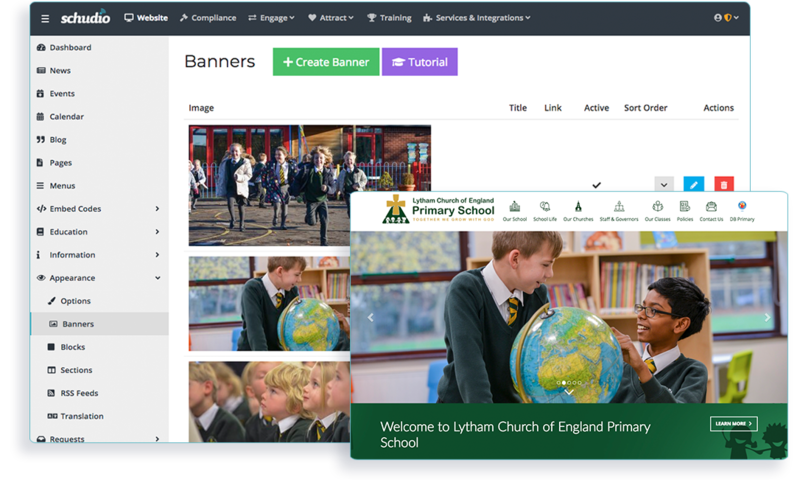 Our school website software offers more media options than anywhere else. 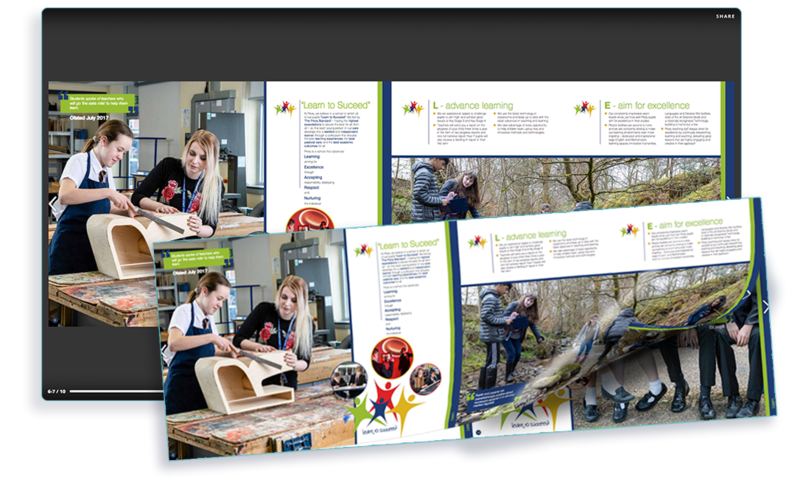 From photo galleries & embedded video to glossy prospectus flip-books your creative options are limitless. Photo Galleries in a Jiffy! Add unlimited photo galleries to your website! Select a big pile of photos, hit a button and your fully responsive gallery is created as if by magic. Reorder and add captions if you like, then embed your fully responsive gallery into news articles, pages, events, blogs in a second. It couldn’t be easier with the Schudio school website software! Publishing your prospectus or partner publications in high quality flip books takes just a moment. 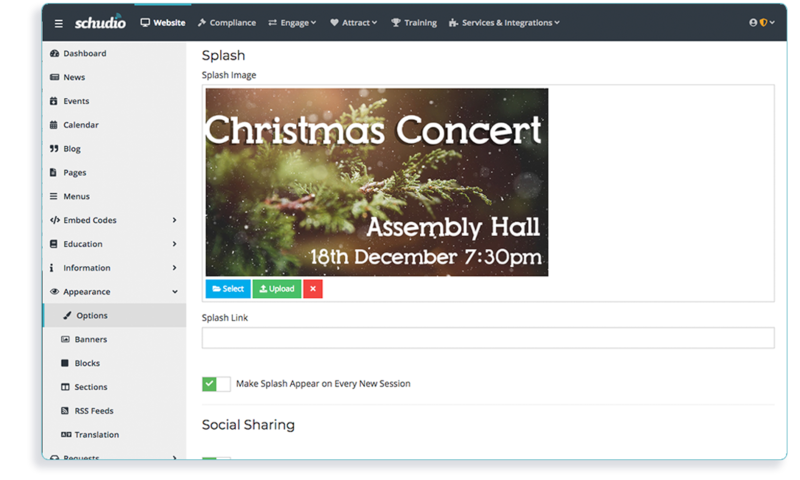 Simply upload the file and our software will produce a fabulous and fully responsive page turner. Add as many as you like to your website at no additional cost. 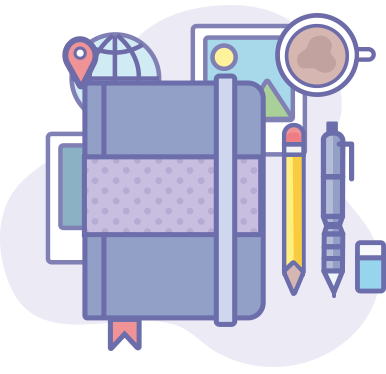 Quickly crop, resize and rotate your images in our powerful Image Editor from the makers of Photoshop. 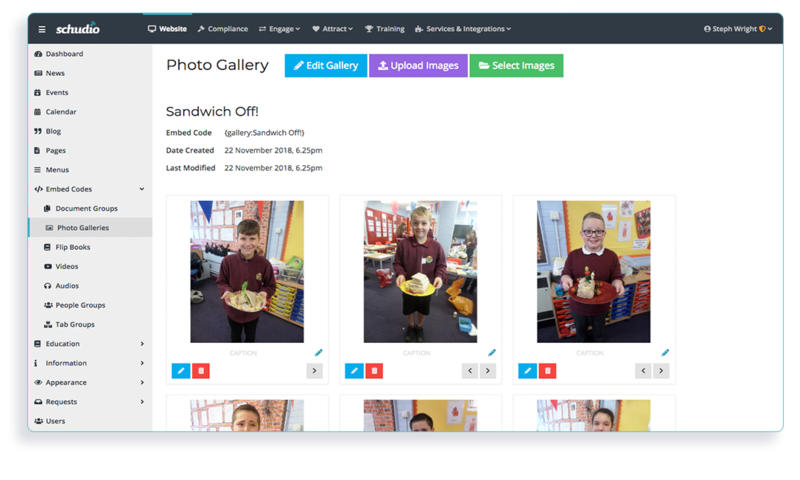 With amazing creative options you can add filters, text and fun layers but really importantly, you can blur the faces of children who you can’t publish on your website. 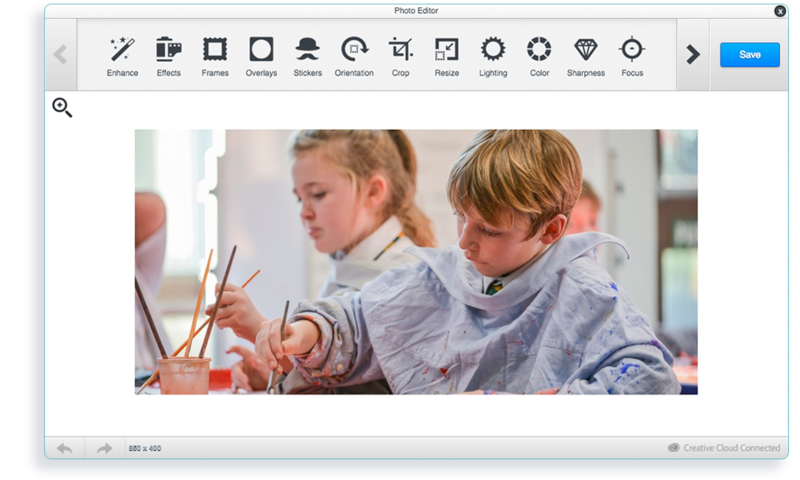 The photo editor is powerful, intuitive and incredibly easy to use. 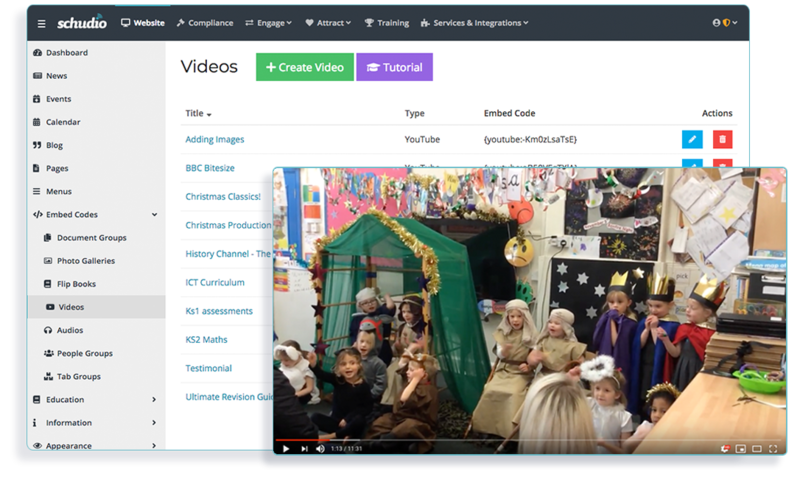 Video is one of the richest forms of media and it doesn’t have to be time-consuming to bring your school website to life in this way. Simply copy and paste your video into a page and our software will do the heavy lifting to deliver your video content perfectly, on any device. Sharing MP3 recordings of life in school, whether radio broadcasts or concert recordings takes just seconds. 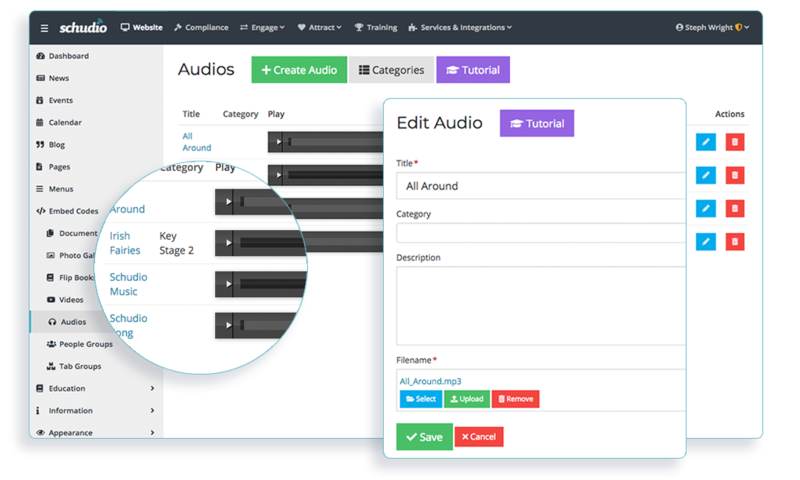 The end result is a simple, intuitive, discreet and fully responsive audio player that you can embed into any page on your site. The big, beautiful images that you’ve had professionally taken. The adverts for key events throughout the year. Take full control and update this vital content to drive users to where you want them to be while bringing your content to life. Display important messages to users through an in-page pop up banner that users can click through to another page from. Brilliant for snow-days and key announcements such as open evenings. Fully editable with an option to add a link to any page you like. 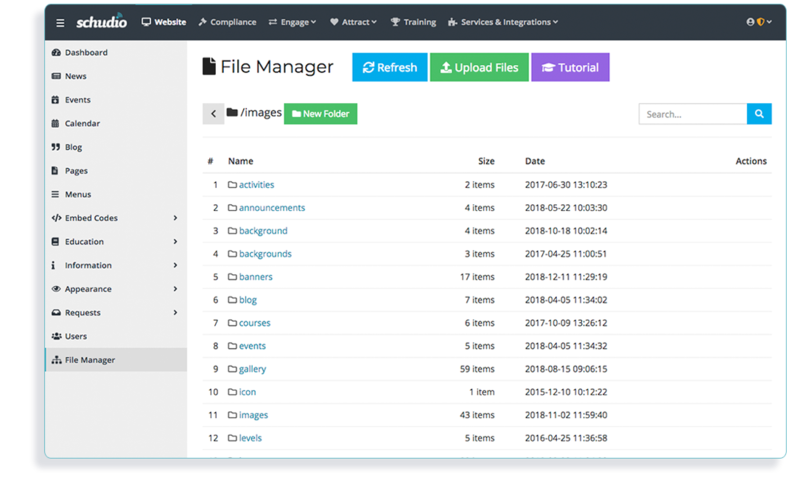 Any file you upload into the system, whether an image or a PDF will automatically be stored in the right place for easy access. So, if you create a news article and upload an image, it will be stored with the rest of the news images. Move files around as and when you need to and access our powerful Image Editor.